Feeling Good Has Never Been Easier! SUPER DETOX EDITION (ZEO) contains patented processed Zeolite, Diatomaceous Earth, active tourmaline, active aloe vera, active ginger, active arnica and active houttuynia cordata. 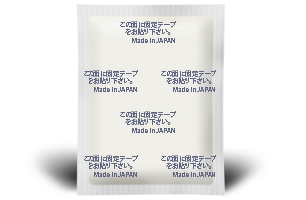 ZEO pads have been verified its superiority in the detoxification of heavy metals. Available via selected pharmacies only. Patented processed Zeolite, activated vinegar, activated aloe vera, activated ginger, activated arnica, diatomaceous earth, tourmaline, activated dokudami, vitamin C, vegetable fiber, and dextrin. 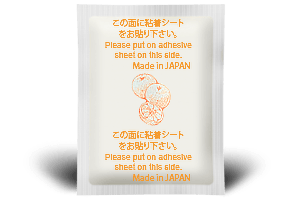 Latex-free, gluten-free, germs-free, preservative-free. Japanese Ministry of Health, US FDA, European CE, Australian TGA, Health Canada, Ministry of Health ME (Israel & Arab Countries). 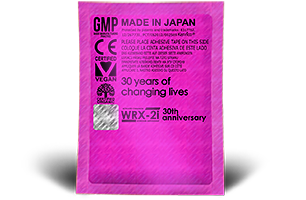 GMP & organic certified. 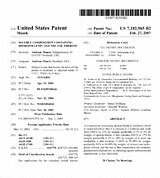 Patent registered #8317762 (Sap Sheet), JP#3348957 (Processed Zeolite). Trademark registered #3816742, #3816828. 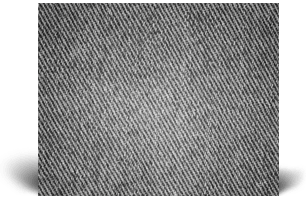 What is a Sap Sheet? 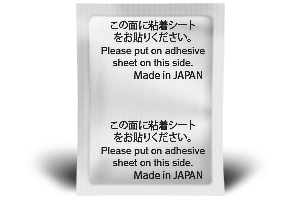 A Sap Sheet, or more commonly known as detox pads, is a patented medical treatment developed in Japan by pharmacologists at Kenrico. 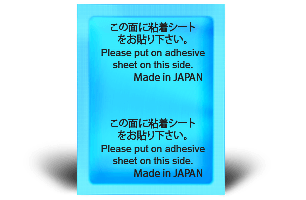 Our original Sap Sheet is made in Japan based on Japanese toxins cleansing technology (patent 8317762) patented by Nurman S and Suzuki, M.D (Pharmacologist, Kenrico). 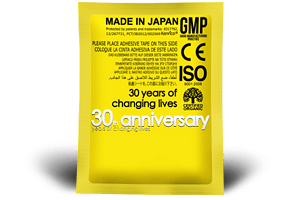 Available in more than 18 varieties and certified organic, each Sap Sheet contains natural active ingredients that its effectiveness in curing illnesses has been proven through clinical studies. Treatment utilizing combination of these varieties produces synergistic effect that is found to be highly effective and desirable for curing most illnesses, diseases and disorders. It is the culmination of centuries of knowledge known to the Japanese, and has been passed down through the generations. Millions of people have been cured with our original Sap Sheets. Apply our Sap Sheets on the bottom of both feet, before bed, and experience better sleep and wake feeling totally refreshed the following morning. 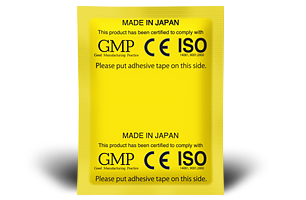 Our patents and medical advancement, achieved through our continuous research, enable our distributors to continue to provide our original Sap Sheets to their patients all over the world. Understanding the medical science eventually helps us develop better product to combat disease. Prescribing Information for Healthcare Professionals has been approved to help treat and improve the quality-of-life for the patients. Learn more on how to get the most out of Kenrico Sap Sheet. How does it work? 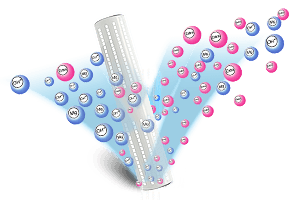 Far infrared rays and beneficial ions emitted from the Sap Sheet induce thermal vasodilatation that penetrates semi-permeable skin, where it dilates blood vessels, increases blood flow and moves waste fluids out of the body. 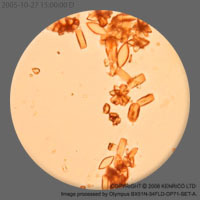 The toxins binding property found in the active ingredients, such as sporopollenin, bind various substances such as heavy metals, toxins and pesticides like a sponge. The bottom of the foot is the location where most of the nerves in the body end. Therefore, the Sap Sheet is best used on the sole of the foot to clean out waste and toxic materials. A controlled independent laboratory study was conducted by Japan Food Research Laboratories an organization authorized by the Japanese government. The Sap Sheets were analyzed (both before and after use) for the presence of heavy metals and other substances. Receive 24 hours reflexology treatment. Reflexology is an ancient healing art, using a specialized version of compression and touch that focuses on the feet. Reflex points in the feet reflect the entire body, and stimulating these reflex points promotes equilibrium in the corresponding area of the body. 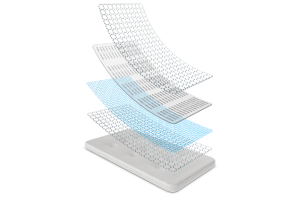 Our Sap Sheet directly affects the reflex points on the feet. By placing the Sap Sheet on the reflex points, it promotes equilibrium and greater healing in the body. Please click on the reflexology chart on the left for guidance. 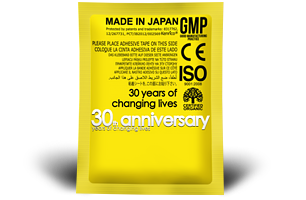 Our Sap Sheet has achieved the consecutive position of 'Number One Seller' 30 times in Japan since 1990. 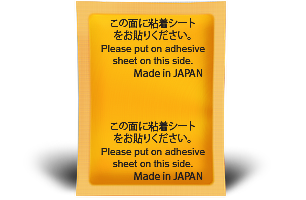 Currently we are the best Sap Sheet Company in the world. Our Sap Sheet also have been featured in Times Magazine and continuously chosen by medical practitioners and billions of users. In addition, the newest book (Miracle Patches Vol. 2 - Revealing The Healing Powers of Genuine and Medically Proven Detox Patches, ISBN 978-4-904483-35-0), written by Linda Woods, Karen Pryor and Mica Foster who specialize in medicine, documents exactly how real sap sheet or detox patches work. Available in hard cover and in all e-book formats for PC, iPad, iPhone, and Android. 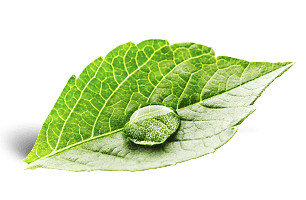 Why is our Sap Sheet better than other treatments? 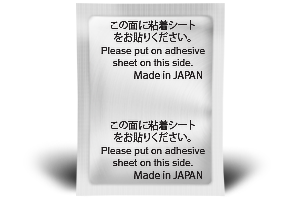 Our Sap Sheet pads are made in Japan by the original manufacturer and inventor utilizing organic ingredients. 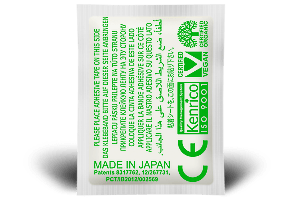 Invented after years of medical research by the inventor Suzuki, M.D (Pharmacologist, Kenrico) and Nurman S (Biophysical Scientist, Kenrico), our Sap Sheet is developed and manufactured by Kenrico based on the patented toxins cleansing technology (patent 8,317,762 - Sap Sheet or Detox Pads). It is made with the finest, top grade ingredients available. Organic ingredients are processed and manufactured by Kenrico utilizing patented extraction method of sporopollenin (exine and shell extraction derived from patent 7182965, 4485940, 03720506.09). The patented extraction method is the first and the only manufacturing method in this century that transforms the organic ingredients into active ingredients with potent toxin binding and curing properties in Sap Sheet. * Learn more of our medical patents and inventions. 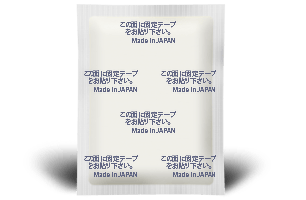 Our Sap Sheet pads provide therapeutic and beneficial physical effects as confirmed by the clinical study. Our Sap Sheet pads are also the only pads recommended by Japanese Society of Preventive & Alternative Medicine. Be careful of cheap imitations, counterfeited formula & false claims of being US FDA registered. 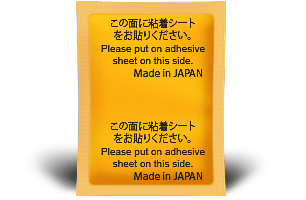 Tests results show that imitation Sap Sheets, made outside Japan, has no physiological effect, contains low grade ingredients and other contaminants such as ticks and melamine compounds that can be very hazardous to your health. 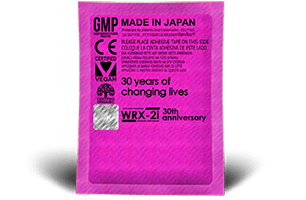 Our Japanese factory, with GMP (Good Manufacturing Practice) certification, guarantees that every one of our Sap Sheets are made with only the highest quality of bamboo and wood vinegar, with highest standard of manufacturing. With a variety of more than eighteen Sap Sheets to choose from, Kenrico continues to provide only the highest quality and level of service to all its customers. We are proud to stand by our products 100%. 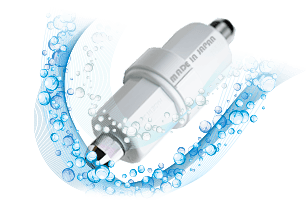 By being in partnership with state-of-the-art research laboratories in USA (FDA level laboratory) and Japan, we are able to research and test our products on a yearly basis. 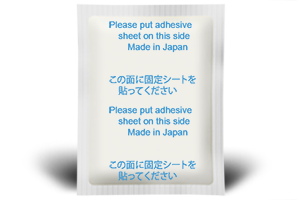 The continuous research and yearly tests enable us to assure our quality, and to provide the best Sap Sheet pads for you. 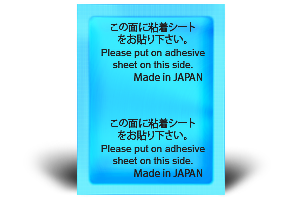 All of our Sap Sheets have passed the necessary safety tests and certifications. While we may try to convince you to purchase our product, it's the results that are worth a thousand words. 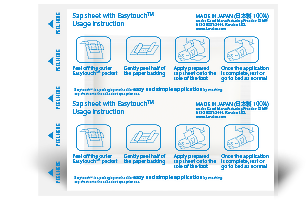 Please take a moment to follow our research and the tests done to our Sap Sheet pads to ensure you receive a top quality product. Thermography tests prove that our Sap Sheets emit far infrared rays. Light colours represent areas with a higher temperature. Dark colours represent areas with lower temperatures. Thermography recorded at the start of the application. Recorded 105 minutes afterwards, showing the clear presence of far infrared rays. See the complete imaging here. Alpha brainwaves increased while using our Sap Sheet pads. Alpha brainwaves are conducive to problem solving, accelerated learning, mood elevation and stress reduction. Intuitive insights, creative juices, inspiration, motivation, and daydreams are all characteristics of Alpha waves. 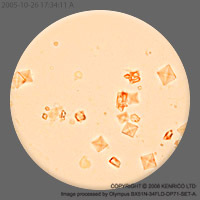 Microscopic research performed on USED and NEW Kenrico Sap Sheets revealed Kenrico Sap Sheet is the only Sap Sheet that can absorb heavy metals, uric acid and oxalic acid. 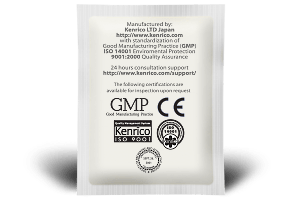 Kenrico Sap Sheet with patented formula and highest grade of ingredients can potentially become a valuable therapeutic tool for some individuals for drawing out toxins and preventing certain health problems from initially developing. Excess uric acid and oxalic acid found on Kenrico Sap Sheet after use. High levels of uric acid in the blood can cause solid crystals to form within the joints, resulting in pain and inflammation. These high accumulations can be linked with known risk factors for dementia, including high blood pressure, atherosclerosis, Type 2 diabetes, abdominal obesity and insulin resistance. 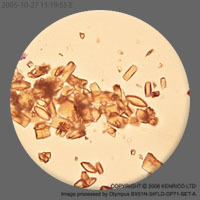 Furthermore, oxalic acid can precipitate in the kidneys as calcium oxalate crystals, and form an estimated 80% of kidney stones. Researchers at John Hopkins and Yale University medical schools have found that older people with serum (blood) (uric-acid levels in the high end of the normal range) are more likely to process information slowly and experience failures of verbal and working memory. Blood analysis (CRP, TP, ALB, GOT, GPT, Serum gamma-GTP, TC, TG, HDL, UA, BUN, CRE, GLU levels) showed significant improvement after using our Sap Sheet pads. 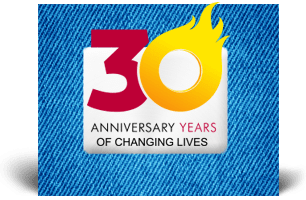 Recent clinical studies demonstrate that Kenrico Sap Sheet can significantly increase our bodies equilibrium, and assist in the treatment of conditions such as diabetes, liver and heart disease. See the detailed analysis here. Result: noticeable improvement in both glucose and fat levels. fully cured gout and infection. Heavy metals decreased after using our Sap Sheet pads. 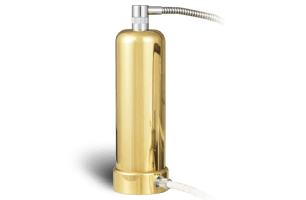 Heavy metals may enter the human body through food, water, air, or absorption through the skin when they come in contact with humans in agriculture and in manufacturing, pharmaceutical, industrial, or residential settings. Industrial exposure accounts for a common route of exposure for adults. See the complete analysis here and here. Clinical study showed evidence of reduced LDL-Cholesterol levels and Triglycerides in 2 weeks period of using our Sap Sheets. LDL-Cholesterol is commonly referred to as "bad cholesterol" due to the link between high LDL levels and cardiovascular disease. Elevated Triglycerides is linked to the occurence of coronary artery disease and may be a consequence of other disease, such as untreated diabetes mellitus. See the detailed clinical study here. Why do we make more than 18 types of Sap Sheets? 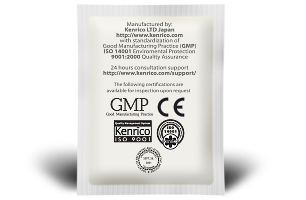 Every Kenrico Sap Sheet contains patented and unique ingredients that its effectiveness in curing illnesses has been confirmed and proven through clinical studies. The synergistic effect by combining each treatment has been found to be highly effective for the curing most illnesses. 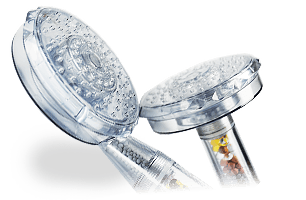 It is one of the reasons that treatment using Kenrico Sap Sheet has become one of the most sought after treatment. For full list of intended use, please visit the Prescribing Information For Healthcare Professionals. 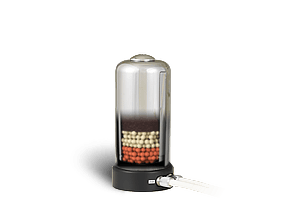 Reduce heavy metals, pain and stress. 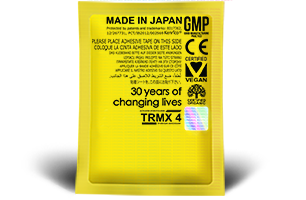 TRMX 4 ORIGINAL with new Holomedic is the most potent pad in the century with Hydrogen Antioxidant and Sporopollenin. Contains 300% more analgesic, anti-inflammation and anti-stress properties. 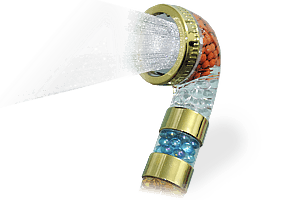 Activated sporopollenin, activated hydrogen antioxidant, tourmaline, organic mushroom chitosan, activated vinegar, activated loquat leaf, activated dokudami, vitamin C, vegetable fiber, and dextrin. 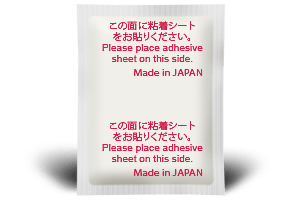 Latex-free, gluten-free, germs-free, preservative-free. 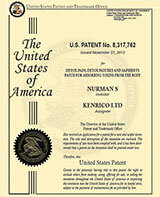 Patent registered #8317762 (Sap Sheet), #7182965, #4485940, #03720506.09 (Sporopollenin). Trademark registered #3816742, #3817127, Serial #87339362. 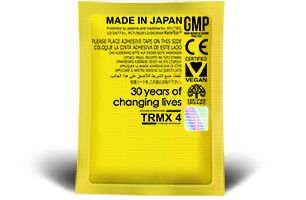 TRMX-3 30TH ANNIVERSARY is the most potent pad in the century with all 8.5 grams of active ingredients from the standard TRMX-3 plus 187% more analgesic, anti-inflammation and anti-stress properties. Activated sporopollenin, tourmaline, organic mushroom chitosan, activated vinegar, activated loquat leaf, activated dokudami, vitamin C, vegetable fiber, and dextrin. 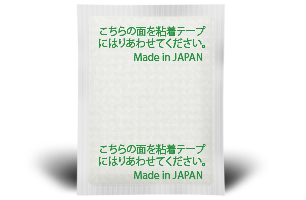 Latex-free, gluten-free, germs-free, preservative-free. 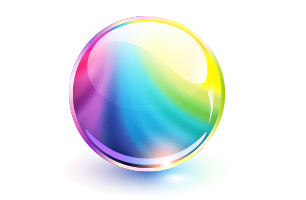 Patent registered #8317762 (Sap Sheet), #7182965, #4485940, #03720506.09 (Sporopollenin). Trademark registered #3816742, #3817127, #3187126. First grade ingredients that contains a total of 8.5 grams of active ingredients with 6.00 grams (70%) of Tourmaline. First grade ingredients with activated cayenne. Activated cayenne, activated vinegar, chitin and chitosan, activated loquat leaf, actived dokudami, vitamin C, vegetable fiber, and dextrin. Latex-free, gluten-free, germs-free, preservative-free. Patent registered #8317762 (Sap Sheet). Trademark registered #3816742, #3816831. First grade ingredients with patented ingredients for treatment of diabetes, liver and heart diseases. Activated cinnamon (cinnamomum verum), activated panax japonicus, activated kaiso, activated glucomannann, tourmaline, organic mushroom chitosan, activated vinegar, activated loquat leaf, activated dokudami, vegetable fiber, and dextrin. Latex-free, gluten-free, germs-free, preservative-free. Patent registered #8317762 (Sap Sheet). Trademark registered #3816742, #3816824. First grade ingredients with activated milk thistle, activated cayenne and tourmaline. Activated milk thistle (Silybum Marianum), activated cayenne, tourmaline, activated vinegar, activated loquat leaf, activated dokudami, vegetable fiber, and dextrin. Latex-free, gluten-free, germs-free, preservative-free. Patent registered #8317762 (Sap Sheet). Trademark registered #3816742, #3816827. First grade ingredients with activated Tourmaline and Amethyst. Tourmaline, amethyst, chitosan, activated vinegar, activated loquat leaf, activated dokudami, vitamin C, vegetable fiber, and dextrin. Latex-free, gluten-free, germs-free, preservative-free. Patent registered #8317762 (Sap Sheet). Trademark registered #3816742, #3816822. First grade ingredients with activated green tea (EGCG & L-Theanine) and Tourmaline. Activated EGCG & L-Theanine, activated vinegar, tourmaline, activated loquat leaf, activated dokudami, vitamin C, vegetable fiber, and dextrin. 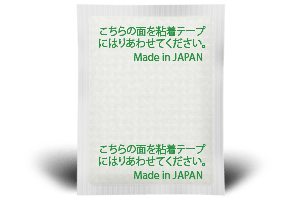 Latex-free, gluten-free, germs-free, preservative-free. Patent registered #8317762 (Sap Sheet). Trademark registered #3816742, #3816825. First grade ingredients with activated agaricus and tourmaline. Activated agaricus, activated vinegar, tourmaline, and dextrin. Latex-free, gluten-free, germs-free, preservative-free. Patent registered #8317762 (Sap Sheet). Trademark registered #3816742, #3816832. First grade ingredients with high antiseptic properties and 81.25% activated vinegars. Activated vinegar, chitin & chitosan, activated loquat leaf, activated dokudami, vitamin C, and dextrin. Latex-free, gluten-free, germs-free, preservative-free. Patent registered #8317762 (Sap Sheet). Trademark registered #3816742, #3816823. 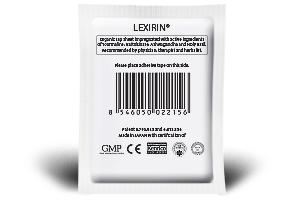 SUPERIOR EDITION (LEXIRIN) contains patented ingredients with natural formulation of nattokinase (fermented soy bean), activated winter cherry (ashwagandha) and activated holy basil (tulsi). Lexirin has passed US FDA's Phase I human clinical trials at Alta Bates Medical Center in Berkeley. 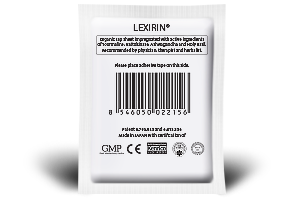 Lexirin is superior in preventing cell damage from illnesses and aging. Facts indicate that cell damage (apoptosis) is prevalent in people with illnesses and aging and contributes to the gradual deterioration. Activated winter cherry, activated holky basil, activated vinegar, tourmaline, nattokinase, mushroom chitosan, activated loquat leaf, activated dokudami, vitamin C, vegetable fiber, and dextrin. Latex-free, gluten-free, germs-free, preservative-free. 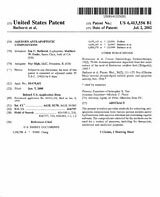 Patent registered #8317762 (Sap Sheet), #6793945 (Nattokinase, LEXIRIN). Trademark registered #3816742, #3952509. First grade ingredients with 32% activated vinegars. Activated vinegar, vitamin C, vegetable fiber, and dextrin. Latex-free, gluten-free, germs-free, preservative-free. Patent registered #8317762 (Sap Sheet). Trademark registered #3816742. SOOTHING EDITION (AQUA COOL TUV) in 100% sterile silver packaging. First grade ingredients with active tourmaline & five active soothing herbs: activated dandelion, activated blackhaw, activated fennel, activated peppermint, and activated licorice. Activated dandelion (Taraxacum officinalis), activated blackhaw (Viburnum prunifolium), activated fennel (Foeniculum vulgare), activated licorice (Glycyrrhiza glabra), activated vinegar, tourmaline, vegetable fiber, and dextrin. Latex-free, gluten-free, germs-free, preservative-free. Patent registered #8317762 (Sap Sheet). Trademark registered #3816742, #3972314. ENHANCED SOOTHING EDITION (ENHANCED AQUA COOL TUV) with Easytouch & Carbon Titanium. Made with increased activated tourmaline & activated peppermint by popular demands. First grade ingredients with enhanced version of activated grapefruit. Activated grapefruit (enhanced), activated vinegar, tourmaline, activated loquat leaf, activated dokudami, and dextrin. Latex-free, gluten-free, germs-free, preservative-free. Patent registered #8317762 (Sap Sheet). Trademark registered #3816742, #3816826. First grade ingredients with activated grapefruit. Activated grapefruit, folacin, vitamin B9, activated vinegar, activated loquat leaf, activated dokudami, and dextrin. Latex-free, gluten-free, germs-free, preservative-free. Patent registered #8317762 (Sap Sheet). Trademark registered #3816742, #3816829. First grade ingredients with activated raspberry and Folacin. Activated raspberry, folacin, vitamin B9, activated vinegar, activated loquat leaf, activated dokudami, and dextrin. Latex-free, gluten-free, germs-free, preservative-free. First grade ingredients with activated lavender. Activated lavender, activated vinegar, tourmaline, activated loquat leaf, activated dokudami, and dextrin. Latex-free, gluten-free, germs-free, preservative-free. Patent registered #8317762 (Sap Sheet). Trademark registered #3816742, #3816830.